Farmers Bank recently completed events at area schools as part of the basketball season 3-for-3 campaign. 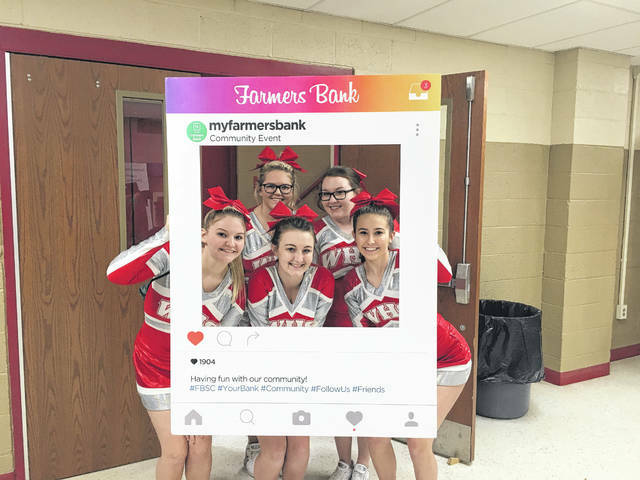 OHIO VALLEY — As part of Farmers Bank’s 3-for-3 campaign during the 2017-18 high school basketball season more than $3,000 was given to local schools, food pantries and homeless shelters. “This basketball season was amazing for our community,” said Farmers Bank Marketing Manager Dru Reed. The benefiting organizations were Meigs High School’s “Care by the Stairs” program, Southern High School, Eastern Local’s “Eagle Pack”, Bend Area Food Pantry, Gallia County’s Outreach Center, and the Mason County Homeless Shelter. “We would like to thank all the schools and students for making this basketball so special for our area,” said Reed. 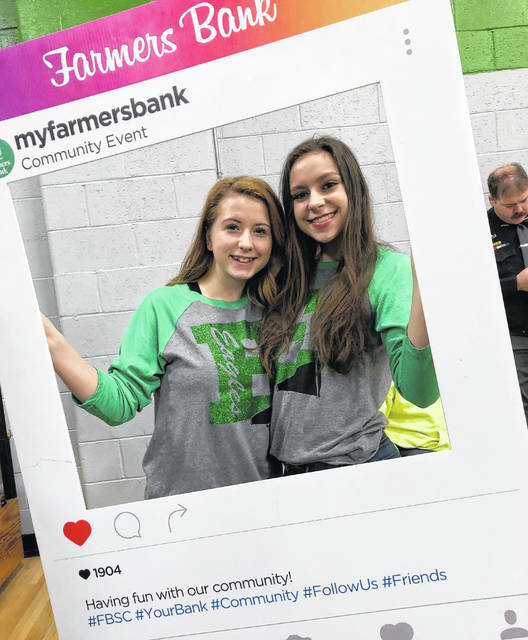 At the start of the basketball season Farmers Bank announced that rather than the “Crawl for Cash” events held in the past they were taking a different approach for help the area schools and food pantries. At each varsity home game during the season (boys and girls), at the participating schools, a made three-point basket equalled a $3 donation to the school’s athletic department. With each team having approximately 10 home games, even a total of five made three point shots per game would raise $150 for the program. In addition to the 3-for-3 program, when one of the participating schools passed a 30 point total in a girls home game or a 60 point total in a boys home game a donation was made to the food pantry selected by the school.